Out of the thousands of cars on UK roads with towbars fitted, a high percentage are likely to have fitted towing electrics which are ‘hidden’ from the car. This electrical installation is commonly called ‘By-pass electrics’. This means, in fact your car has no idea that it is towing. In today’s world of advanced automotive electrical technology, this is not only inefficient but can prove to be potentially disastrous! Since the early 2000’s, automotive technology moved rapidly forward in introducing network systems in vehicles which allowed the detection of a trailer. In many cases, not only did the manufacturer design the vehicle to detect the trailer, but created enhanced features within the network, which actually makes it vitally important for the trailer to be ‘seen’ and not ‘hidden’ from the towing vehicle. These include some important safety and stability features, along with convenience items such as automatic fog light cut-off and parking sensor deactivation. Each of the above systems are affected in different ways when a trailer is ‘detected’. Vital systems such as engine cooling and brake electronics will function and react differently. TSP ( ‘Trailer Stability Program’) is one feature which is being added to more and more vehicles, to help correct the ‘snaking’ action of a trailer… but with such advanced technology, braking systems have even evolved further by being operated electronically, without the need for hydraulics! Braking has become more controlled with faster braking efficiency when towing! Suspension systems can now detect a trailer and allow for a more level towing adjustment when the load is applied on the towing hitch. ACC (Adaptive Cruise Control) systems are meant to ‘detect’ a trailer in order to help set a greater braking distance between vehicles. The latest technology is also now being applied to roofbars! The Audi Q5 for example, is able to determine when roofbars are fitted and will alter the vehicle centre of gravity when a load is applied. This will then make the ESP braking system behave differently. The key feature is that vehicle safety in relation to towing, is no longer confined to the normally accepted high spec manufacturers such as Audi and BMW! With such advances, why accept towing electrics that ‘hide’ the trailer? 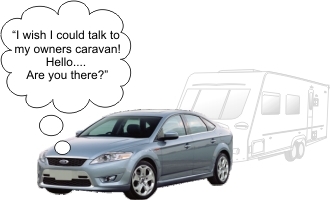 To ‘By-pass’ all the above safety systems is potentially disastrous as your vehicle is often designed by a manufacturer to behave in a different way as soon as you couple up your trailer or caravan. The manufacturer of the car has either, put a prepared connector in the vehicle which is a CANbus preparation on the network (e.g Audi, Ford, Land Rover, Seat, Skoda, Volvo etc) to accept a specially designed towing module, or has designed the trailer to be ‘detected’ through connections directly onto the databus (e.g BMW). With these type of connections the vehicle will know when a trailer plug is connected to the socket. If you accept a ‘Universal by-pass’ solution, it is most likely the towbar installer will make either crimp or solder connections onto the lighting harness of the vehicle. This can prove to be contrary to what the manufacturer has intended. Therefore, any connections made in this way can also result in potentially restricted warranties. Not only that, but many network vehicles will ‘switch off’ any supply to a rear lamp on the vehicle should the bulb fail. This will mean, for example, with connections onto a tail lamp wire of the car, should the bulb fail on the car, the system will shut off the supply until the bulb is repaired. 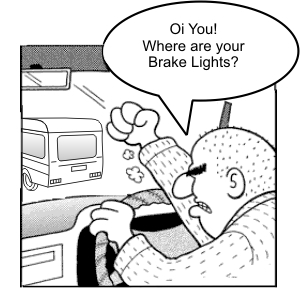 This results in not having any active tail lamps functioning on the caravan or trailer!! In order for your vehicle to ‘see’ the trailer, it is important you accept a vehicle specific electrical installation. A wiring solution which ‘communicates’ with the car. Right Connections specialise in the supply of these solutions and we strongly advise that these be fitted by a recommended towbar ‘specialist’ who is prepared to offer a vehicle specific towbar wiring solution for your vehicle. Note Of Caution: There are still a number of towbar installers who will not or do not offer any other solution than a ‘By-Pass’. What about the cost? I want it done cheap! It is vitally important that towbar installations can no longer, be perceived as a cheap commodity. The towbar is virtually the ONLY accessory which interacts with the vehicle in such detail. NO OTHER accessory affects the way the vehicle behaves or performs particularly in terms of vehicle safety! This must give the towbar installation a higher value other than a ‘lump’ of metal bolted to the car! All of the considerations have to be charged accordingly. You will be aware those customers who inquire regarding the cost of a towbar installation at a main dealer, realise that the high price quoted is not just because of high labour charges. It is more often than not, the main dealer is installing a towbar as a ‘specialist’ using the correct electrical installation and diagnostics. In the end, If they place a high value on a towbar…. Shouldn’t you?